An important map of the South Pacific, showing part of Australia, New Zealand and across to the Society Islands. 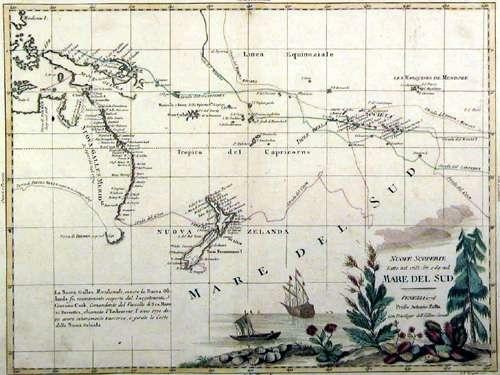 The routes made by Cook, Wallis, Carteret, Byron and Mouats are shown. With a decorative title cartouche. Original colour, in excellent condition.